Note the darker liquor of the second flush Darjeeling. 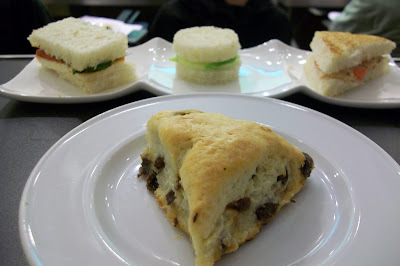 This is the final post in the series about the October Harney & Sons tea tasting in New York City. 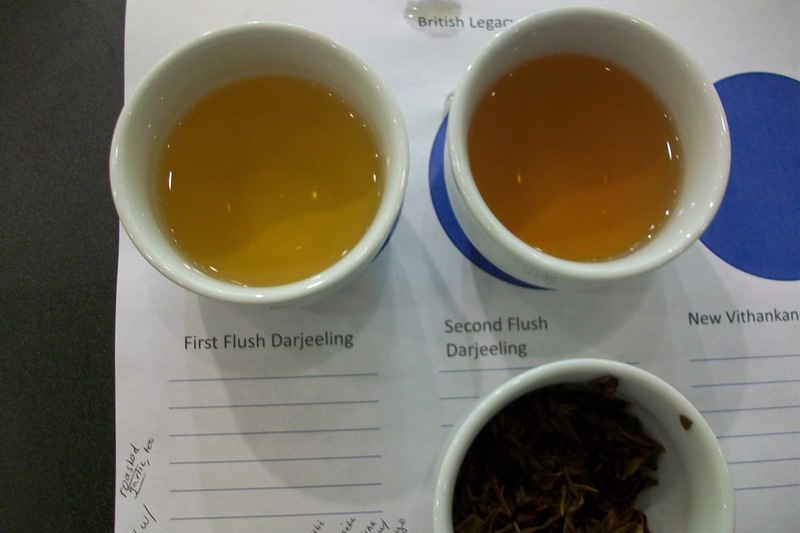 The tasting workshop was concluded with cups of first flush (harvested in the spring) and second flush (harvested in the summer) Darjeeling from the Risheehat Estate. The teas were served with three tea sandwiches and a scone as well as a roasted garlic clove. The first flush was malty with a lingering finish. The second flush was also malty and was well complemented by the tuna tea sandwich! In the nineteenth century, the reputation of Darjeeling tea became firmly established in England as a "fancy tea."